"Chanthaly" is considered the first Laotian horror film and caused a sensation at several film festivals. It throws light on generational conflicts in present-day Laos and the uncanny presence of various ghost beings in Lao everyday religiosity. From the ethnological perspective, the ensuing podium discussion will focus on the tensions between tradition and modernity in Laotian society as well as the special role of ghost faith. Patrice Ladwig (Max Planck Institute for the Study of Religious and Multiethnic Societies, Göttingen), Michael Kleinod (Institute of Social Anthropology, University of Bonn), Oliver Tappe (Global South Studies Center, University of Cologne). "Lütfi Ö. Akad, a.k.a. the pioneer director of Turkish cinema, produced his magnum opus trilogy in the theme of migration in early 1970s. In this first film, Akad tells the story of a nine-person, respectable craftsman-family, who migrate to Istanbul from the small Anatolian city of Yozgat, and their life struggle in the greater city of Istanbul. Thanks to their diligence, Hacı İlyas family wishes to expand their business, and open a new grocery store in an upscale neighborhood of Istanbul. Through the family’s economic ambitions, the film asks greater questions about the concept of sacrifice in immigrant lives, and depicts the causes of fading human values of immigrants in relation to patriarchy, feudalism and greediness." "Guangzhou, a.k.a. Canton, is southern China’s centuries-old trading port. Today the booming metropolis of 14 million is a mecca of mass consumption, its vast international trading centers crammed with every “Made in China” good imaginable. Every year more than half a million Africans travel to Guangzhou where they buy goods to sell back in Africa. Over time, some have chosen to stay, and for these Africans China looks like the new land of opportunity, a place where anything is possible. But is it? Featuring a dynamic cast of men and women from Cameroon, Kenya, Nigeria and Uganda, GUANGZHOU DREAM FACTORY weaves the stories of Africans chasing alluring, yet elusive, “Made in China” dreams into a compelling critique of 21st century global capitalism. 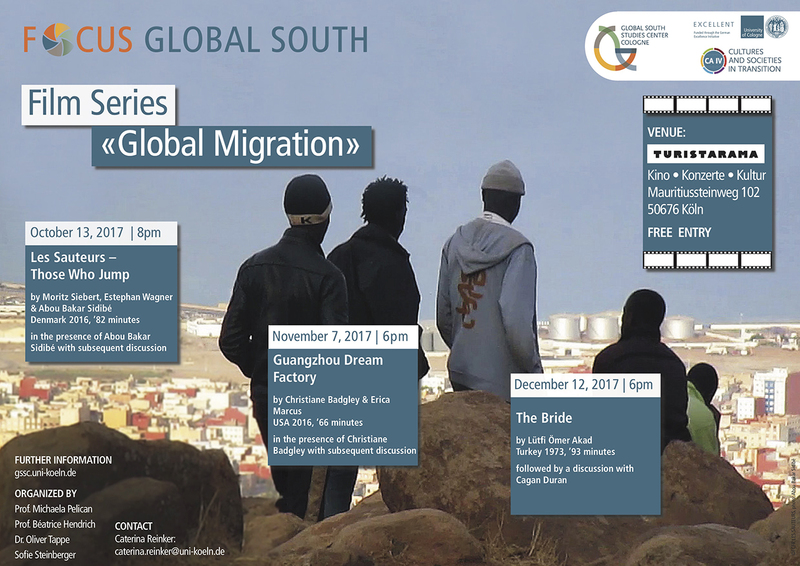 Following a filmmaker’s journey from Ghana to China and back to Africa, GUANGZHOU DREAM FACTORY provides a rare glimpse of African aspirations in an age of endless outsourcing." in the presence of Abou Bakar Sidibé with subsequent discussion. "In northern Morocco lies the Spanish enclave of Melilla: Europe on African Land. On the mountain above live over a thousand hopeful African migrants, watching the land border, a fence system separating Morocco and Spain. Abou from Mali is one of them – the protagonist in front of the camera, as well as the person behind it. For over a year, he has ceaselessly persisted in attempting to jump the fence. 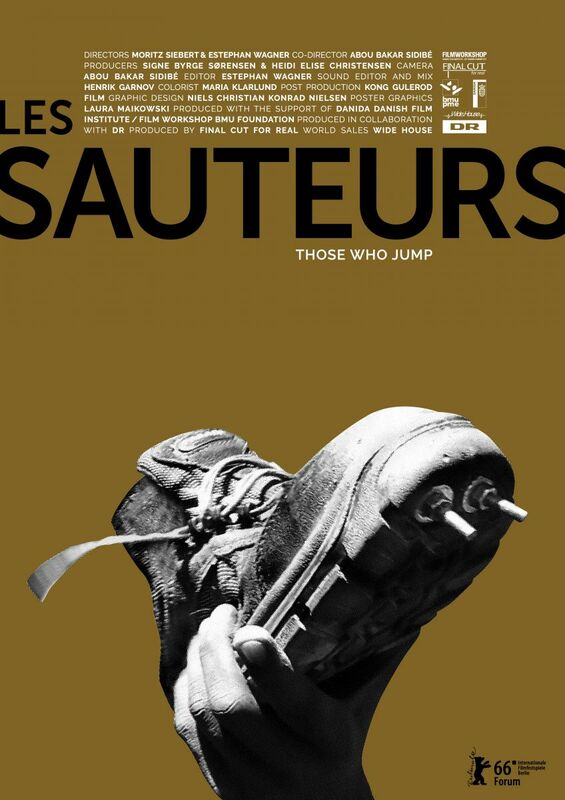 LES SAUTEURS is Abou’s portrayal of the human struggle for dignity and freedom on one of the World’s most militarized frontiers."